We don't have an aphid problem in our yard. 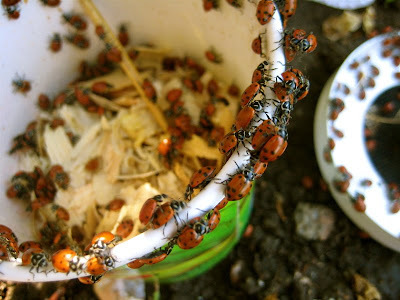 But when I saw this $6 paper cup filled with hundreds of ladybugs at the Green Thumb Nursery in Canoga Park, Calif., I was compelled to buy it. Releasing the living jewels in our garden was a weekend family highlight.